Concept: Figure out what the game is about. Game Design: How is the game played? 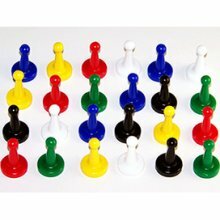 What are the rules (game components, goal of the game, etc)? Initial Prototype: Make a playable rough draft of the game. Publish: Either self-publish or get a publisher to buy your game from you! As tempting as it may be to start illustrating the game or adding color (in the general aesthetic sense, not in the purely literal sense), we don’t want to get ahead of ourselves. Right now we need to make a very basic playable prototype. We want to make sure that the game works before we invest time into illustrating it and making it pretty. The prototype doesn’t need to look great; we want to get to the first play test and find out what about the game design is fun and what is clunky and needs to be tweaked or fixed—that is, what ambiguities we didn’t foresee and need to delineate. Moreover, we face the truth: does the game work or is it a dud? Some games will be duds! Not every game idea we have will be brilliant, and that’s OK. But you need to create and get practice. The more you do that, the more easily you’ll be able to visualize the end in the beginning, to identify a great game concept when it comes. You can use index cards if you want to keep things super simple. If you want your cards to be a little more durable and easier to handle and shuffle, you can buy blank playing cards. At the moment, you can get a box of 500 blank playing cards from Amazon for $7.20 (USD). In my opinion, this is a must-have for a game designer. Index cards are OK, but to really enjoy the play-testing, you will want cards that feel good to manipulate. You can write with pencil or permanent marker on these cards, and they will get the job done! You can get some stiff whiteboard from your local craft store and cut it down to size. If you don’t care too much about thickness, however, card stock or even paper will do fine. You can probably get by with the average 6-sided die, but you may develop a game that uses dice with 4, 8, 10, 12, or 20 sides. You can buy dice for pretty cheap at game stores or from many online shops. At my local dollar store, they sell a pack of 10 dice (5 white and 5 colored) for $1. For the prototype you can use pretty much anything for game parts, but if you’ll be developing a lot of prototypes, it might be worthwhile to have a little library of game parts. You can buy these from a store like The Game Crafter, if you want them to be fancy, but game parts can be found on the cheap, too! I needed colored tokens, so I went down to Michael’s Arts and Crafts for some bags of rainbow glass gems (they were on sale for $1 per bag!). Another great option is to buy a big container of colored cubes. Colorful, 1cm cubes are are sold as learning resources to teachers, but they are great as game counters, tokens or whatever (you can do a Google shopping search for “centimeter cubes”). 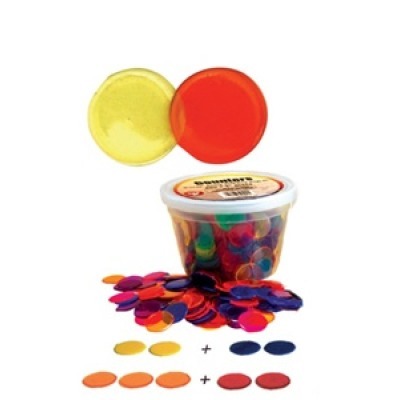 Plastic discs are also sold to teachers as learning aids, and they make great counters or coins and can be used to score points. 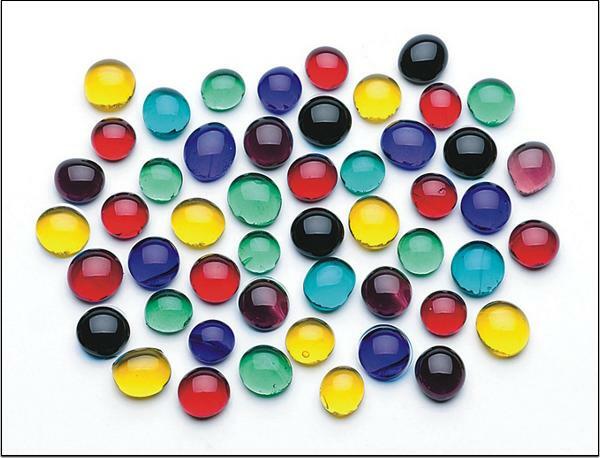 Translucent and opaque are easily found online. I wanted to keep things super simple for the prototype. I have two sets of Action cards; the top set are the modification actions, which allow players to modify the rewards shown on the game board. The second set are the reward actions, which are how players get points. 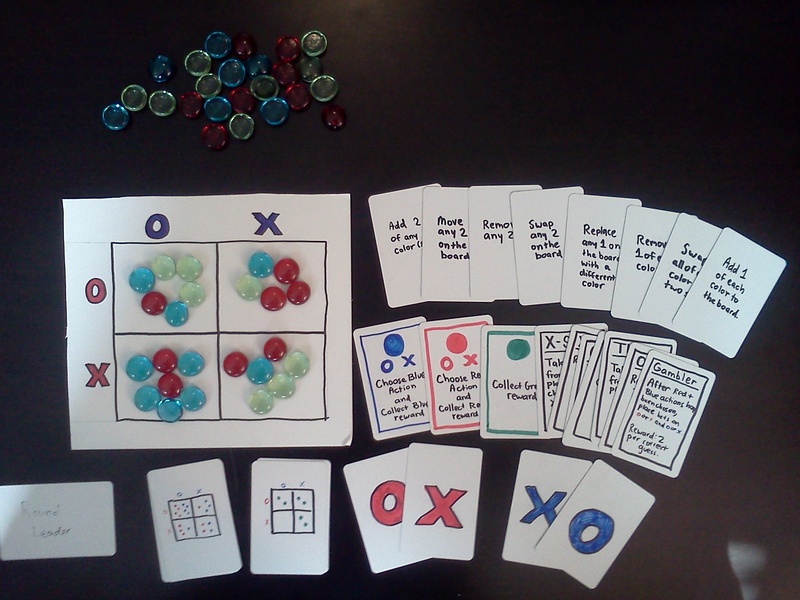 Then there are the strategy action cards, a set of X and O for both Blue and Red. (You’ll notice that I used O and X rather than “passive” and “aggressive” – terms I used in my last two posts to describe the players’ action options in my game). These cards allow the Red and Blue players to secretly choose an action and then reveal it simultaneously. Lastly there is a deck of game-board setups for Red/Blue and one for Green, and finally a “Round Leader” card, which is passed around the table to each player so that different people have the opportunity to pick their actions first. I just needed a few Sharpie pens to put this together. I didn’t do anything with the card backs. You can see how simple it is. Yet this is all I needed to get my friends together and test the game out.